Did you ever want to feel like James Bond, racing away from the bad guys, with the wind in your hair and adrenaline pumping through your veins? Then this trip is for you! 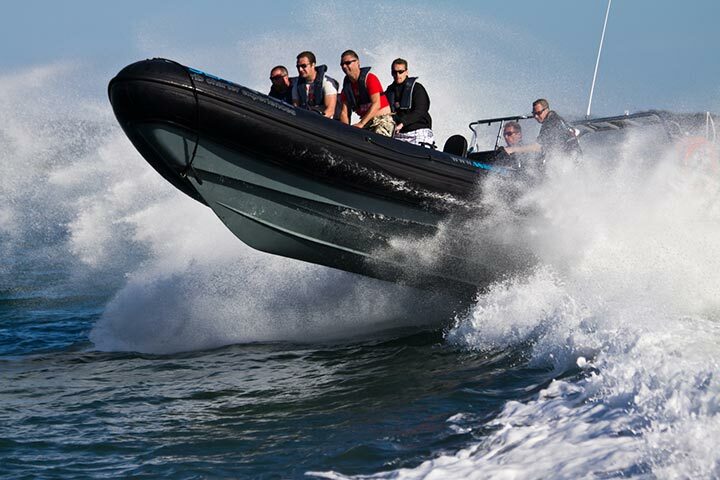 The expert skippers will demonstrate the manoeuvrability and speed of the RIB's by showing you high-speed turns, wave riding and wake jumping! 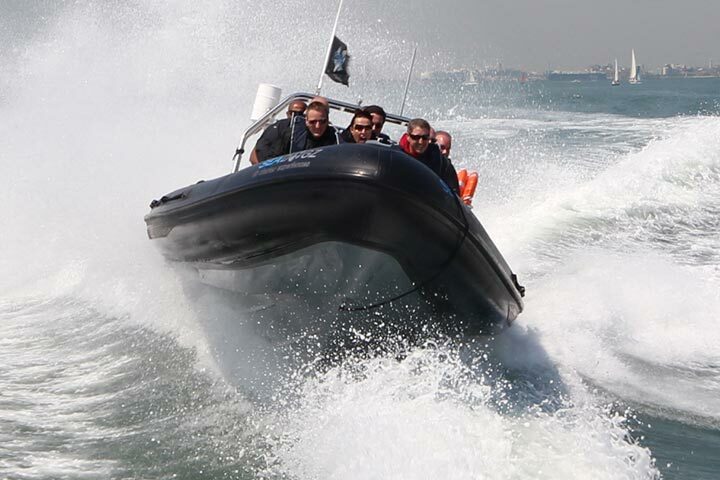 Prepare to get wet at speeds of up to 55 knots. 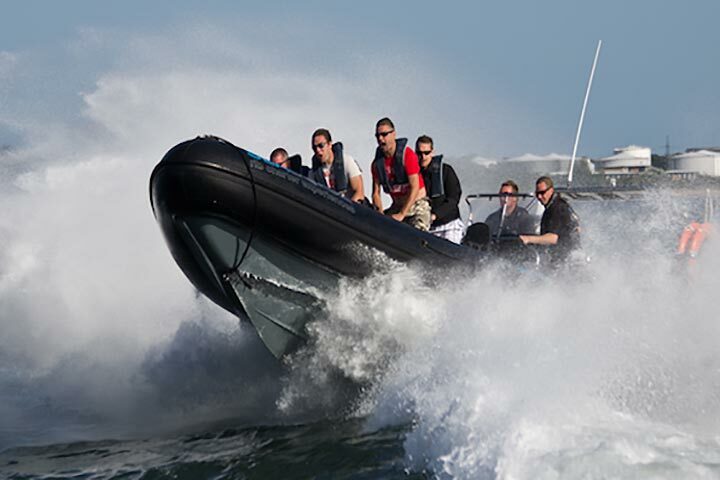 After an essential safety brief and demonstration, you and your guest will be taken down to the pontoon to board the RIB and head out on to the water. Leaving Ocean Village and heading out to sea you will pass the Luxury Cruise Liner berths at Southampton before turning south toward the Solent. From here it steps up a gear; riding the swell or jumping the wake from the super fast "Red Jet" Cats, you will have the time of your life. The route takes you via the famous Hamble River and historic Calshot Castle which was built by Henry VIII. 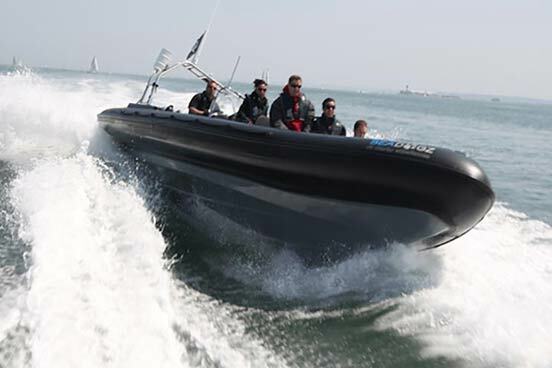 After some fun and games at the Brambles Bank, the RIB will finally turn for home, giving you the Seadogz signature turns and stops along the way. 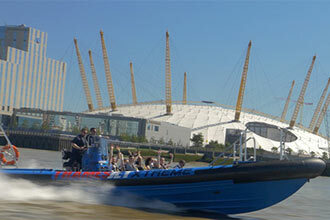 This experience is available on selected weekdays and weekends, from January to December. You must take your experience prior to the voucher expiry date. This experience will last 1½ hours. This experience is for two people. There will be a maximum of 11 other people on the boat. You're welcome to bring spectators to watch you depart. The maximum weight for participants is 108kg (18 stone). Participants should have an inside leg measurement of at least 24 inches. Please note this experience is not suitable for pregnant women or those with back or neck problems.